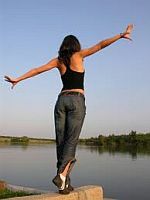 Pacing is a balancing act between doing too much, and so causing more pain, or doing too little, and becoming inactive. Most of us tend to keep going at a task until we are forced by pain to stop. We also tend to overdo things on a good day and then be unable to do anything much for the next few days. Pacing will ensure that you stop before the pain rises, and that you stay in control, not the pain. Find out about PainSupport’s ‘Pacing Workbook‘ download. Pacing is basically about breaking up tasks into shorter sections that you can cope with without increasing the pain. Pacing is also about planning your days to get a good balance of activities throughout the day and the week. It is advisable to space activities out and not to load all your activities on to one part of the day or on to one day of the week. Vary your posture. If you find sitting or standing difficult, move before the pain increases and do something completely different. You need to decide for how long it is reasonable for you to carry out any activity. Base it on how long you can do the activity without causing yourself any more pain, either during or after. Start at a lower level than you think is right for you. If you can sit fairly comfortably for ten minutes, set a countdown timer for eight minutes only. Set your timer for the time you have allocated yourself and when it rings, stop that activity and change to doing something else, such as walking, exercising, resting. Over time, gradually begin to increase your sitting time, minute by minute. Break the activity down into smaller units. Time yourself for each activity, and so remain in control. Use different postural positions, so you don’t overdo one position. Achieve your objective without increased pain. Use a lumbar roll if you have a bad back. Move items to a more convenient reaching height. Raise your chair or bed so you get out of them more easily. Reorganise kitchen/workspace to save yourself from walking around too much. Take care with your posture (see the Alexander Technique on the Therapies page. Make time for one or two relaxation sessions. Make time for your exercise programme. Make time for at least 20 minutes of an enjoyable and diverting leisure activity. Once you have your pain more under control you can go on to setting goals for yourself to improve your activity levels. Choose an activity that you want to work upon, say to improve your walking ability.Start at a very low level which will give you success, and then very slowly increase what you do. This way you won’t risk set-backs and disappointment. There is a section about goal setting and how to gain success with your goals in the PainSupport ‘Pacing Workbook’, details below. Click here for details of PainSupport’s ‘Pacing Workbook‘. It is only £3.00, for an immediate download.